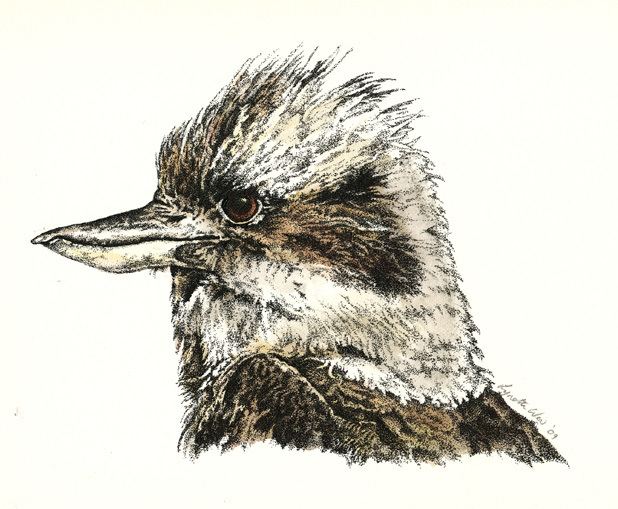 I have just finished this drawing of a Kookaburra. Again it is drawn using light washed of watercolour and many dots made with a fine nib rotring pen. I liked his windswept head feathers and that look of determination in his eye. Anyone who has watched kookaburras hunt have seen that look!